I tend to believe that the nicest thing I could say about any book is that it helped bring me out of a reading slump. Those natural periods of stress or life that keep me from regular reading are distressing: they interrupt more than just the flow of my blog. They interrupt the therapeutic sitting-down-with-my-computer-and-wrestling-with-my-thoughts thing that goes along with blogging. Well, they mess up my library holds system, too, but that’s a minor gripe. 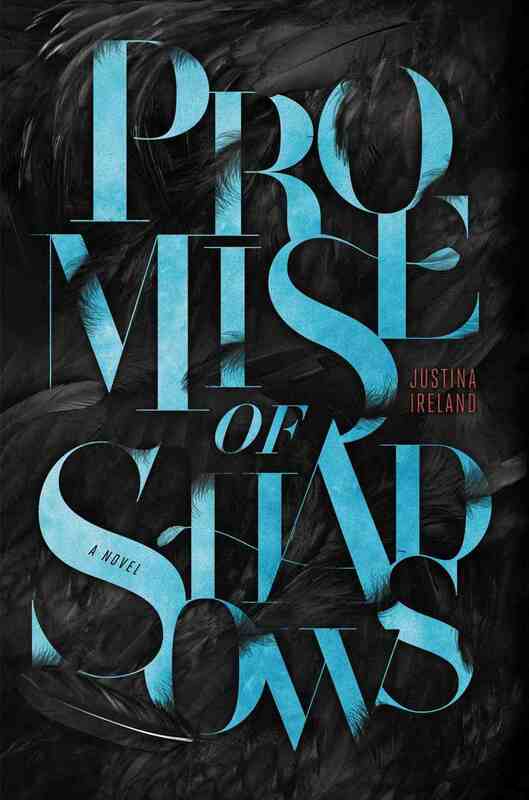 Justina Ireland’s Promise of Shadows was a WoW pick last August and one of two books that arrived via library hold and forced me out of a month’s long slump. I am grateful. Zephyr Mourning (or Peep, as friends and family call her) is currently serving out a sentence in the Pits of Tartarus. She killed the god who murdered her sister Whisper, and used a forbidden power to do so. As punishment, she’s been stripped of her Harpy wings and sent to dig ditches for an eternity. But there are some gods who still aren’t happy that she got off with eternal servitude (instead of death). After one-too-many attempts on her life, Zephyr and her friend Cass take a chance to escape and begin a dangerous journey to seek vengeance for Whisper’s death and to solve the mystery of Zephyr’s power. I wanted to like this book wholeheartedly. It had so many things going for it: a mythological fantasy mash-up, diverse characters, a great concept, a childhood friend-turned-love interest (nary a love triangle in sight! ), and a Harpy main character with an engaging (snarky) personality, mommy issues and blue hair. Not to mention gorgeous cover art and all-around book design. But. Yes, you knew there was a ‘but’ coming. There were several things about this book that didn’t fulfill the promise of the concept and cover. The first was the world-building, which was vague and patchy – in part because the scene changed too often for the reader to get a real handle on a sense of place. Much of the tension of the plot should have revolved around the shifting landscape, but it never seemed to matter where any of the characters were at any given time. And although Ireland set up a complex class system/struggle, that didn’t have any real pull, either. Instead, when the differences between gods and vaettir (their half-human children) were mentioned, it devolved into a confusing tangle of half-explained grudges. Add to those issues an indistinct magical system (what was the real difference between light and dark magic, again? ), some instances where ‘telling’ might have been swapped out for ‘doing,’ and a fair amount of secondary character development that fell by the wayside, and the result was disappointing on several levels. That said, I had high hopes going in, and it’s possible that my reaction was biased by my expectations. I wanted to like Promise of Shadows more than I did, but it may be just the thing to appeal to other readers. I finished it because I liked Zephyr and the concept. I don’t regret my excitement for this one – it was interesting! Recommended for: fans of Karsten Knight’s Wildefire, Rick Riordan’s Percy Jackson series, and Gina D’Amico’s Croak, and anyone curious about a diverse young adult fantasy featuring a blue-haired Harpy heroine.